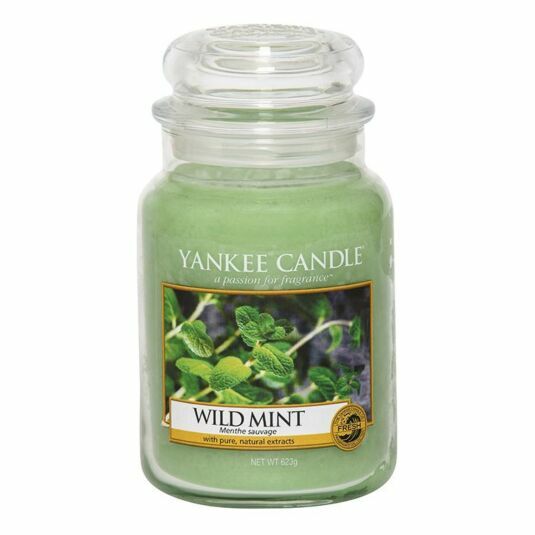 Welcome in the New Year by refreshing your home with this range of calming and fresh scents and this Wild Mint Large Jar from Yankee Candle, part of the Pure Essence range of fragrances. Just picked Wild Mint leaves – fresh, crisp, cool, bracing. Top notes of Wild Mint Leaf and Spearmint Leaves mingle with middle notes of Fresh Peppermint, finishing with base notes of Musk and Sandalwood.